It was a beautiful evening on November 14 at DC’s RPM Italian Restaurant as Restaurant Association Metropolitan Washington’s education foundation, Educated Eats, honored three incredible women for their dedication and leadership in the areas of workforce development, community support, and job training across the region. The 2018 Educated Eats Culinary Visionary Award honorees are: Donna Cooper, President of Pepco, an Exelon Company; Chef Ris Lacoste of RIS Restaurant; Iris Wilson, Career and Technical Education Specialist with DC Public Schools. Founded in 2004, Educated Eats, advocates for the value of employment through the restaurant and foodservice industry and is committed to creating the next generation of culinary and hospitality professionals. The Foundation is committed to promoting the restaurant and foodservice industry as a career of unlimited opportunity and is invested in creating and supporting education and workforce development efforts across the Washington, DC region for youth and for those looking to enter the industry. In line with these goals, the Educated Eats Board of Directors created a Visionary Award to honor those who have demonstrated dedication and leadership in culinary education and training, community education, and workforce development in Washington DC area’s food and hospitality industry. Each year the Board chooses honorees in three categories who exemplify these qualities: Corporate stewardship: Culinary Industry; or Technical Job Training. In corporate stewardship, Educated Eats recognized Donna Cooper and Pepco, an Exelon Company for their involvement in the Workforce Investment Council in DC and as leaders who oversee the ​Center for Energy Workforce Development and The Energy Providers Coalition for Education. In partnership with The Precisionists, Inc., Pepco collaborated on a new program that creates new positions for autistic adults to carry out project-based work for Pepco and others. Pepco has also been a dedicated supporter and sponsor of Educated Eats activities and the Frans Hagen Scholarship Program for several years. 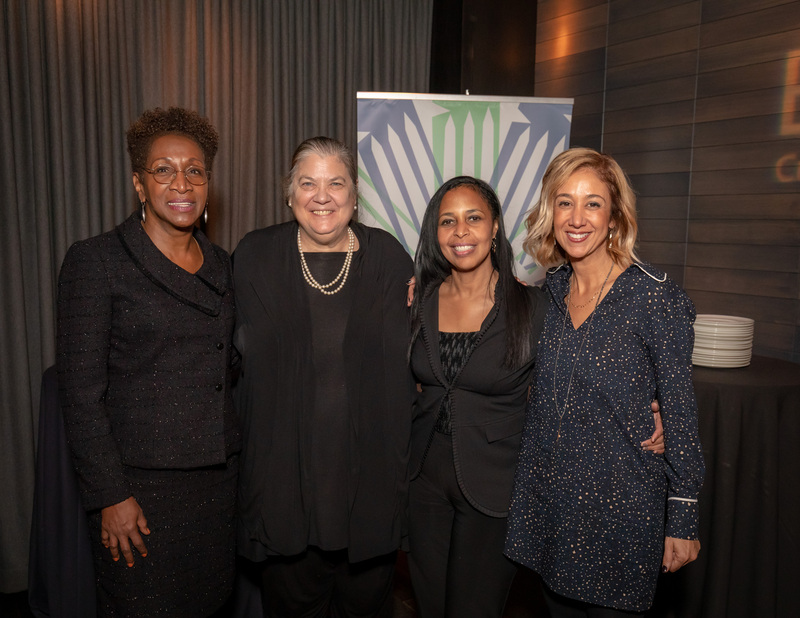 The Washington Post’s Michelle Jaconi joined the Educated Eats program that night to help honor Culinary Industry honoree Chef Ris Lacoste of RIS for her many impactful years as a hospitality leader, a teacher in her own kitchens, and a mentor to so many. Ris is an involved and dedicated member on many boards including RAMW, The Smithsonian Museum of American History’s Kitchen Cabinet, Fresh Farm Markets, and she was a long time board member of DC Central Kitchen, to name just a few. Educated Eats final honoree of the evening was Iris Wilson, in recognition of her more than twenty years as a culinary education and hospitality leader with DC Public Schools supporting college and career education programs as an advocate for culinary education and hospitality training in the District’s high schools. Educated Eats Chairman of the Board, Greg Casten, presented the award to Iris, and noted that she has been instrumental in founding, funding, empowering, and guiding a number of education programs including many focused on culinary arts. Along with the late Frans Hagen, Wilson helped get the first commercial kitchen for students built in Theodore Roosevelt High School over a decade ago. These days, Wilson has her hands more than full with the rejuvenated ProStart program that was re-launched in DC this Fall in partnership with the RAMW. Nearly 300 students are currently enrolled in the two-year comprehensive curriculum at three D.C. schools – Theodore Roosevelt High School and Roosevelt STAY (Ward 4), and Ballou High School (Ward 8). The program includes hospitality business training, an internship/mentorship program with local restaurants, and scholarships for seniors. The evening’s celebrations including an incredible four course dinner from RPM Italian, including chefs Gabe Thompson and Massimo Vicidomini, with DC-based food and travel writer Nevin Martell hosting the ceremonies as emcee. The event was made possible in part by support from sponsors Lettuce Entertain You restaurant group, Aramark, Republic National Distributing Company, and Trade Center Management Associates.